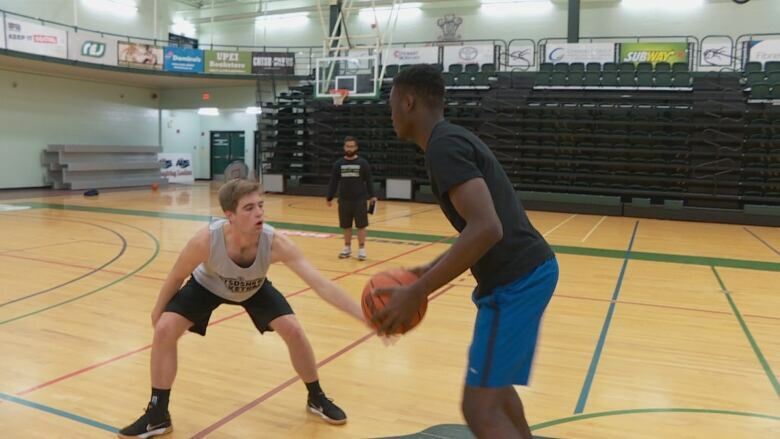 For the first time in UPEI's history, two separate men's basketball teams will be wearing Panthers jerseys this season. The university's formed a development squad, for players who didn't earn a spot on the varsity team, but aren't ready to give up. 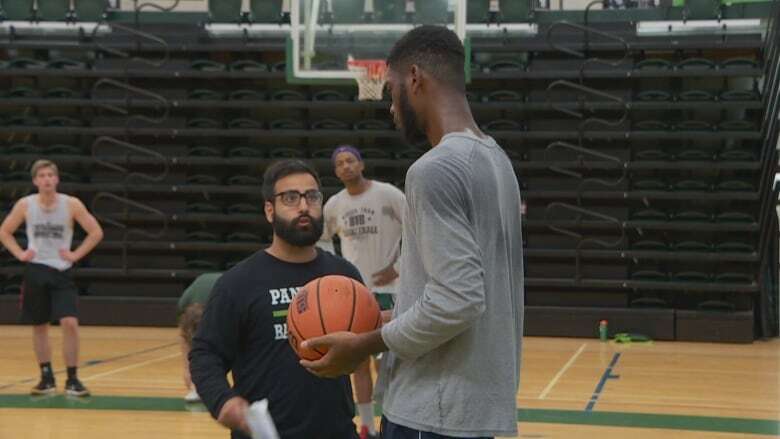 For the first time at UPEI, two separate men's basketball teams will be wearing Panthers jerseys this season. The university has formed a new development squad, for players who didn't earn a spot on the varsity team but aren't ready to give up. "If we were just to cut them and never look back, who knows what they could've become?" said Rami Arabi, the development team's head coach, and assistant coach of the varsity Panthers. "We're giving them an opportunity to prove themselves daily, and prove they deserve a chance." Arabi started coaching at UPEI last season after years working at the college level in Ontario where development teams are common. He says the 11 players on his new team will have a chance to practise regularly and play some games against prep schools and college-level teams. "If they're dominating in practice every day, and they go to games and prove they're playing well, we'll give them the opportunity at the varsity level," he said. Arabi says this is a particularly good opportunity for Island players, like John Alex Vos, who are fresh out of high school and not quite at the varsity level yet. "I've grown up my whole life watching the Panthers. It's always been a dream of mine to play for them," said Vos. "So this is definitely motivation to get up early in the morning. You know, [Coach Rami] says we have to be working just as hard, if not harder than the varsity guys to make the team. So it's a lot of motivation to catch those guys." Arabi says the hope is that the development team also motivates the varsity Panthers to work that much harder. "They see guys that aren't on the roster working that hard, who are coming for their spot. We don't want anyone to be content," he said. As it stands, Arabi says the development team's travel costs won't be covered by the university. He says players will be expected to cover their own costs, and to carpool to the half-dozen games the team has lined up in the region. "We're looking to make it work and to get some sponsorship to make it easier. We're working at that," he said. Arabi says his ultimate goal is to have other Atlantic universities form development teams as well, so the region can create an official league in the years ahead.